It’s Kari again from CraftCreateCook! 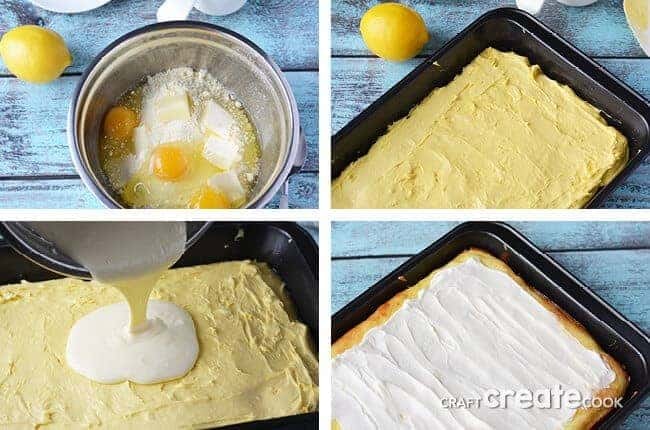 I’m so happy to be here sharing an amazing Easter dessert with you – Cream Cheese Lemon Bars. My mom always made Lemon Meringue Pie for Easter dinner. It was absolutely perfect — that swirl of meringue on the top was fluffy and toasted to perfection. But I have a confession to make. I don’t like lemons. It’s not that I absolutely cannot eat them, but I don’t really care for Lemon Meringue Pie or much of anything that has lemon in it. 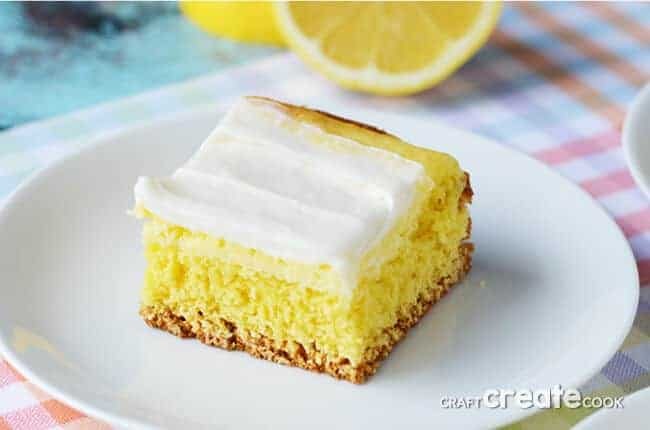 But these Cream Cheese Lemon Bars are an exception, plus I always bring them to Easter dinner at my parent’s house because I know how my mom loves lemon! 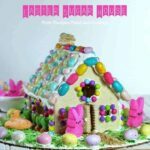 Easter is such a great time to enjoy spring and the burst of colors from the bulbs that begin to pop up as the snow melts and the days get longer. 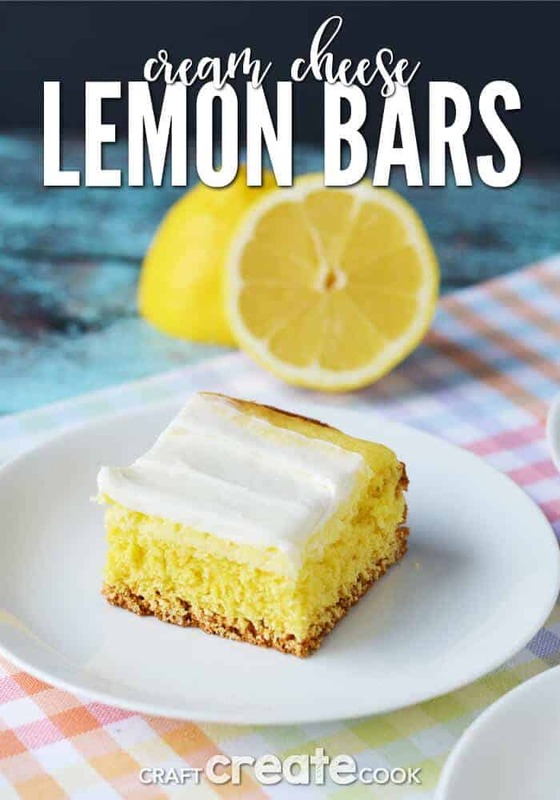 These cream cheese lemon bars are a great reminder of the changing seasons and fresh new spring ahead. Bar recipes are my favorite because they are very easy to make and they travel well. This recipe is almost like a cake, but it’s dense and can be eaten with a fork or your fingers like a brownie. Preheat oven to 350 and grease a 9×13 baking pan. If using a dark baking pan, reduce the oven temperature to 325. 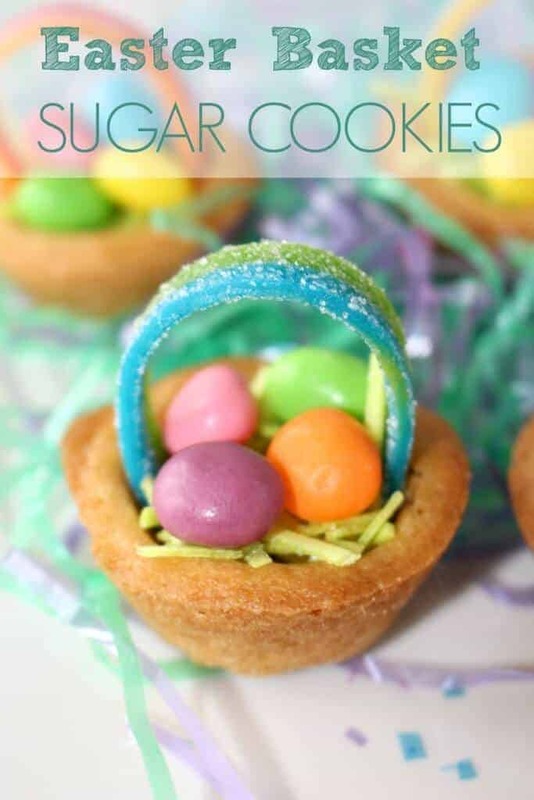 In a bowl, add cake mix, butter and 3 eggs. Mix well by hand. The batter will be stiff and seem as though it isn’t coming together, but it will. Give it a little elbow grease and patience. Spread batter into the prepared cake pan. In a separate bowl, beat cream cheese for 30 seconds. Add powdered sugar, beating in half at time. Add lemon juice and beat well. Divide the mixture in half and refrigerate. Add 2 eggs to the remaining mixture and beat well. Spread the mixture onto the top of the batter and bake for 23-25 minutes or until set. Cool completely before spreading the reserved cream cheese mixture onto the top. 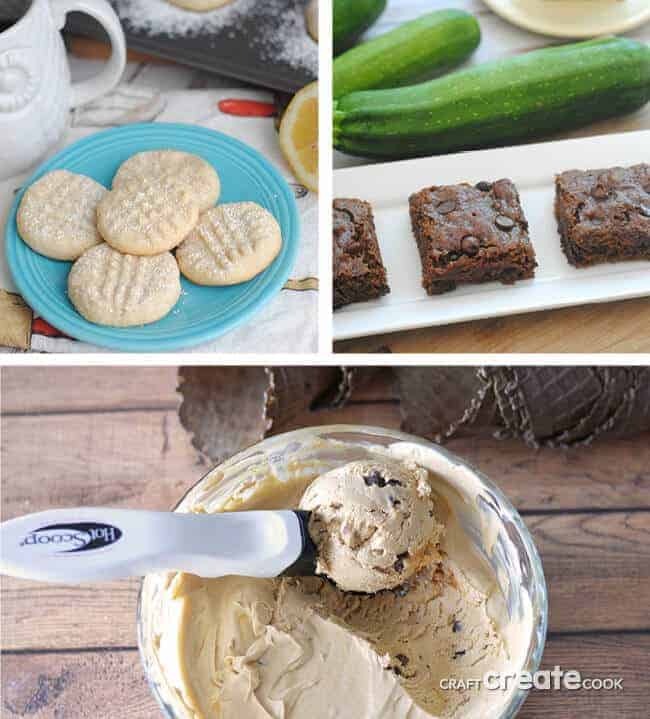 We have lots of amazing recipes on our blog, so if you like this Cream Cheese Lemon Bar Recipe, you’re going to want to try our Classic Lemon Butter Cookies, our Homemade Chocolate Zucchini Cake or this easy No Churn Homemade Mocha Caramel Chocolate Ice Cream Recipe. 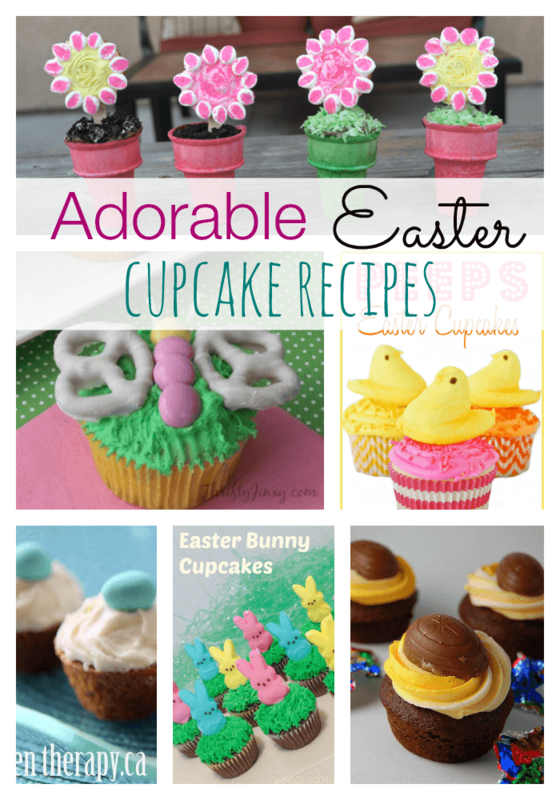 Are you looking for some other great EASTER DESSERTS? 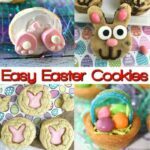 Check out some of these!